With the support of the Clean Energy Finance Corporation (CEFC) and the Australian Government’s Department of the Environment and Energy, IPWEA's Street Lighting and Smart Control (SLSC) Programme is launching a new Model Business Case in April 2019. This Model Business Case is designed to assist public lighting decision makers to robustly evaluate the business case for large-scale upgrades with LEDs and smart controls. The Model Business Case is targeted at local government, main road agency and utility staff wanting to put forward a robust case for making the change to LED street lighting. 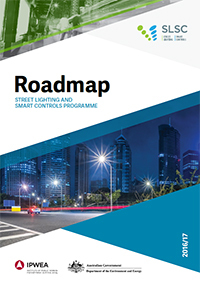 Alongside the existing model technical specifications for LED street lighting and smart controls, the Model Business Case forms a comprehensive suite of documents to equip a management team to confidently determine how to proceed with their street lighting projects.